BT held the French Immersion Parent(s)/Guardian(s) Information Night, on Monday, December 3, at 7:00 p.m., in our school gym. 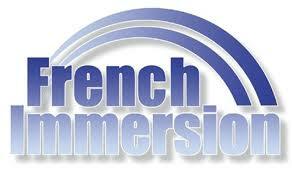 The Information Night provided an overview of the French Immersion Program, explained the criteria for enrollment, as well as, the application and registration process and transportation. The online application is available from Monday, November 26, 2018 to Friday, January 25, 2019 at WWW.YCDSB.CA. “It is critical that all Year 2 Kindergarten students (SK), even if they are in attendance in a French Immersion school, must apply online to indicate interest.” Please note, where the number of the applicants exceeds the number of available placements in the program, a public lottery will be held, at BT on Thursday, January 31, 2019, at 5:00 p.m.